GS101 versions 2.04 and 2.05 are released. 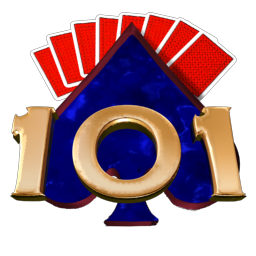 Goodsol Solitaire 101 contains 101 of the most played solitaire games from Goodsol Development, including all of the favorites included in Most Popular Solitaire, plus 34 bonus games. All of this can be purchased for only $19.95 (although quick readers may be able to catch a special introductory price on the Mac App Store). Through a fluke of timing and the whims of one Apple reviewer, FreeCell Plus 4.05 arrived on the Mac App Store last week, while the store version of Goodsol Solitaire 101 (submitted first) appeared just a few days ago. However, the debuts of these two products are very encouraging. All four of our playing card solitaire products have spent time in the Top 10, seemingly taking turns to share the spotlight. Fortunately, FreeCell Plus has been camped in the ‘Top Paid’ chart since its release, usually among the top 3 card games. Unfortunately, it is our least expensive (current) offering, which shows the downside of eliminating trial versions in favor of straight sales (and indicates that shareware still works).